Police discovers documents linking Catholic hierarchy to systematic abuse in public schools in Canada. When the Ontario Provincial Police raided the Oblates of Mary Immaculate offices in Ottawa in 1995, they seized a number of documents including a file containing a memo written in Latin and addressed to the order’s leadership in Rome. The memo concerned a member of the order who was associated with St. Anne’s residential school in Fort Albany, Ont. The Canadian Conference of Catholic Bishops has claimed in recent weeks, in defence of a statement that Pope Francis could not “personally respond” to the Truth and Reconciliation Commission’s request for an apology for residential schools, that the Catholic Church itself could not be blamed for the abuses committed at the institutions. 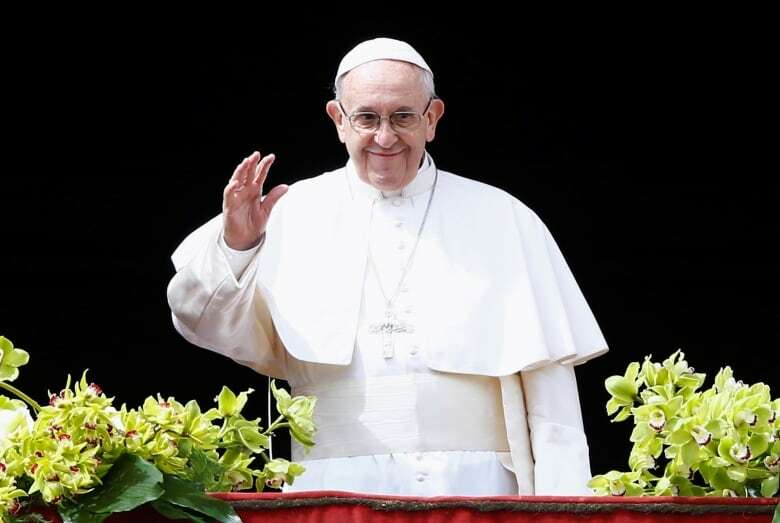 The conference says the schools were run by 16 dioceses and about 36 orders independent of the direction or responsibility of Catholic Church, represented by the Pope in the Vatican. Yet, the OPP records along with historical files reveal that the Catholic hierarchy in Canada, from the cardinal level down to the bishop, were deeply involved with residential schools and their fingerprints are even found in the Indian Act. The raid by the OPP was part of a sprawling, six-year investigation into abuse at St. Anne’s that included searches of the Oblates and Sisters of Charity offices in Ottawa. The investigation led to five convictions. The Latin memo is among a list of documents seized by the OPP following their search of the Oblates’ office that was filed with a justice of the peace and obtained by CBC News. It related to one of several religiously-affiliated individuals OPP investigators were seeking information on when they applied for the search warrant, according to OPP files.​ Police investigators were also seeking information on a bishop, a priest, and several nuns and order brothers. The Oblates brother mentioned in the Latin memo was a boatman who sailed between Moosonee and St. Anne’s delivering supplies and transporting children from community of Winisk to the school, according to St. Anne’s survivor Edmund Metatawabin. Metatawabin said he doesn’t know why investigators were looking for information about the man. The OPP files, which are redacted, do not reveal why they were interested in the Oblate brother or what the memo said. But its existence, and the fact it was addressed to the Curia Generalizia, reveals there was communication with the upper echelons of the order about an individual connected to the operations of a residential school. The Curia Generalizia, or the headquarters, of the Oblates is based in Rome. Most Catholic orders have a Curia Generalizia. These are overseen by the Vatican through a dicastery, which is like a government ministry that ensures all the orders are following Catholic law, according to Joe Gunn, who worked for the Canadian Conference of Catholic Bishops for 11 years. “They would be regulated under canon law and they would be under that department or ministry of the Vatican,” said Gunn. Some of the orders “taxed” the federally-funded schools they operated to feed the coffers of their central offices in Canada, according to research by Jim Miller, a professor emeritus of history at the University of Saskatchewan. “The Ottawa bureaucrat referred regretfully to such a practice as ‘bleeding the children to feed the mother-house,'” wrote Miller, in his 1996 book Shingwauk’s Vision: A History of Native Residential Schools. 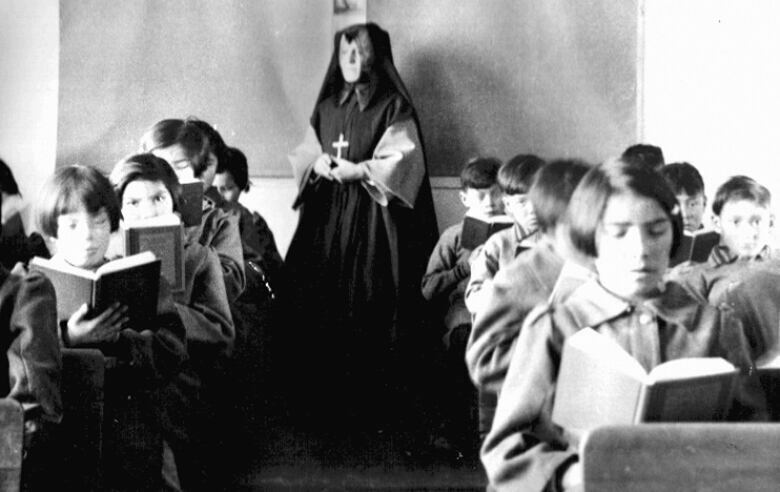 The historical record also shows the Catholic hierarchy in Canada was directly involved in trying to influence federal policy on residential schools. In one case, the Catholic hierarchy was concerned Ottawa did not take their views seriously on dealing with tuberculosis epidemics. These concerns led the Cardinal and Archbishop of Quebec Jean-Marie-Rodrigue Villeneuve to direct a letter be sent to Harold W. McGill, the deputy superintendent of Indian Affairs at the time, demanding the Indian Affairs residential schools branch be split into Catholic and non-Catholic, according to historical records unearthed by researcher Edward Sadowski and provided to CBC News. “It would eliminate all friction and put an end to all conflicting discussions which incessantly occur,” said the 1935 letter. “Even Adolf Hitler has not gone as far as that in his treatment of Catholic children,” wrote Plourde in 1939. He was upset Ottawa was not sending students sick with tuberculosis to sanatoriums of the same religious affiliation as their residential school. Saint Boniface Archbishop Emile Yelle, from Manitoba, also weighed in against Ottawa’s decision to consider cost, instead of religious affiliation, when deciding where to send children who became ill with TB at residential schools. “The main reason given was financial,” wrote Yelle, in a 1940 letter to Thomas Crerar, the minister of mines and natural resources who was responsible for Indian Affairs. The Catholic Church had some leverage to make these demands partly as a result of an earlier victory by religious leaders who managed to convince federal politicians to include a now deleted section in the Indian Act legislating Catholic children be sent to Catholic residential schools while Protestants be sent to Protestant schools. Sadowski, who unearthed the documents as part of research aimed at supporting a failed court case to have the Fort William Sanatorium included as a residential school under the Indian Residential Schools Settlement Agreement, said it’s clear the Catholic Church and other religious denominations had a hand in inserting that section into the Indian Act. “The politicians in Ottawa did not do it in a vacuum. How could they?” said Sadowski.